Goodnight Moon is an adored childhood classic, but its real origins are lost to history. 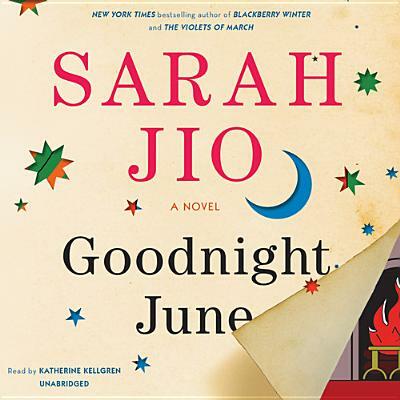 In Goodnight June, Sarah Jio offers a suspenseful and heartfelt take on how the great green room might have come to be. June Andersen is professionally successful, but her personal life is marred by unhappiness. Unexpectedly, she is called to settle her great-aunt Ruby's estate and determine the fate of Bluebird Books, the children's bookstore Ruby founded in the 1940s. Amid the store's papers, June stumbles upon letters between her great-aunt and the late Margaret Wise Brown-and steps into the pages of American literature.